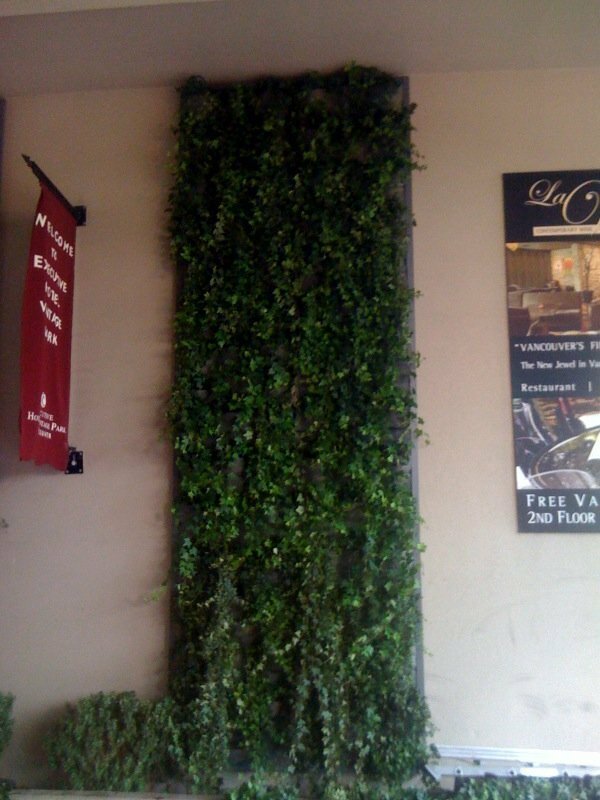 For Executive Hotels in Vancouver, Canada, Joel Franske plants the vertical pocketed walls with ivy varieties. 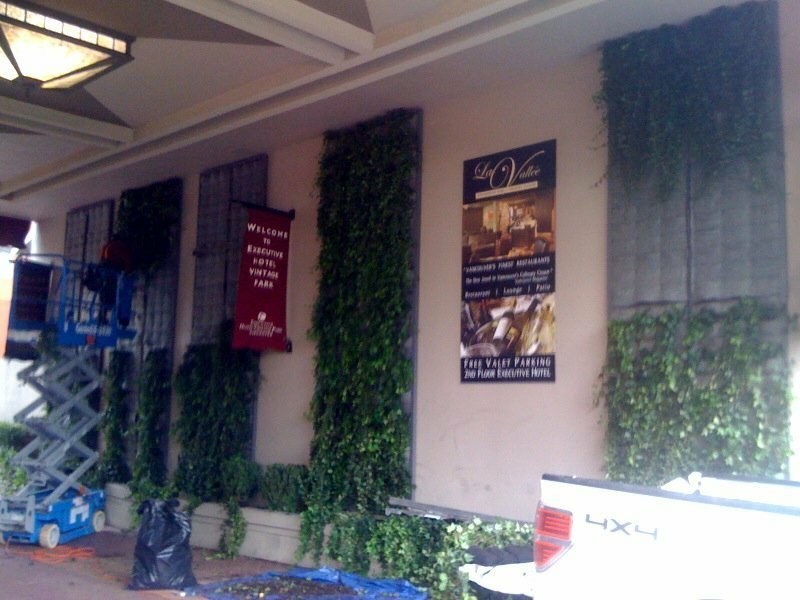 The install consists of 5 – Floraframe Living Wall Kits, 64″ x 195 each. Using a total of 40 – 24-pocket panels; that’s a total of 960 planted pockets.